This month in KidzWorld we are learning about cooperation–working together to do more than you can do alone. We have a family cooperation project for you. 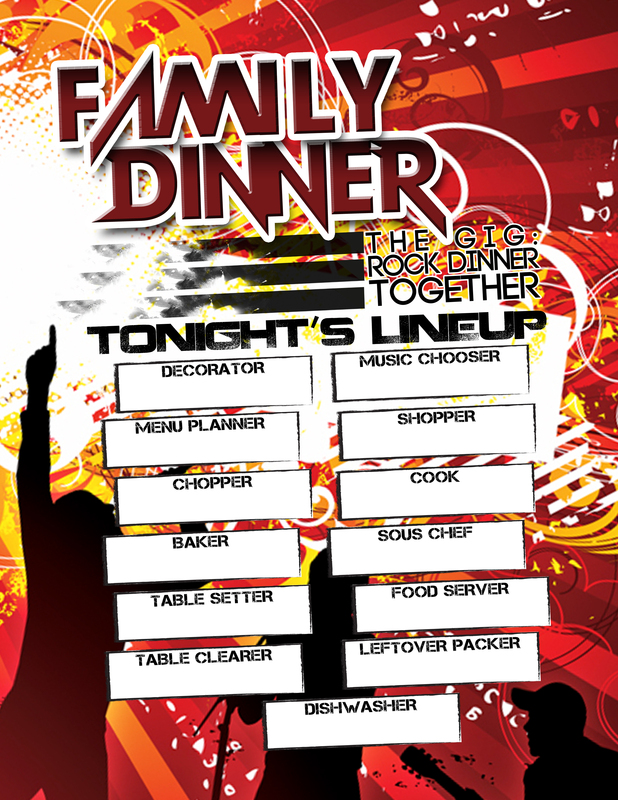 Pick a night when you can have a family dinner together. Use the chart below (or you can pick up a copy at KidzWorld check-in) to assign different jobs to each family member. Then cooperate together for a delicious and fun family meal. We came home Sunday and prepared dinner together as a family. Then completed the handout together. It was a fun way to show Raychell what cooperation can accomplish. Thanks!